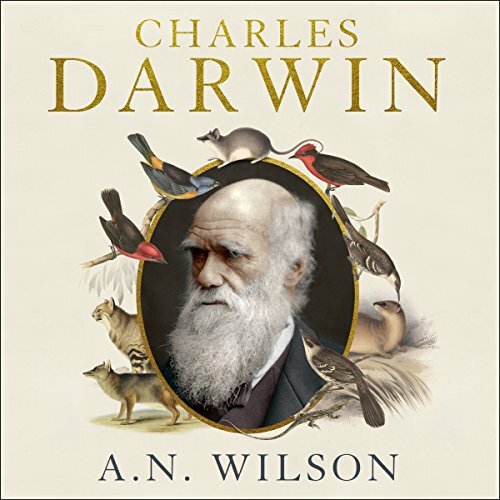 In this bold new life - the first single volume biography in 25 years - A. N. Wilson, the acclaimed author of The Victorians and God's Funeral, goes in search of the celebrated but contradictory figure Charles Darwin. It goes into great detail which sometimes can be laborious – but necessary to give a clear and accurate picture. The best thing about it is that takes Darwin down from the pedestal and presents him a real man and not a god. He dismantles many of the legends and fallacies that surround Darwin and evolution and shows that evolution was adopted as a popular myth largely for philosophical reasons. I thought it was rock solid science. One day I started scrutinizing the so called "mountains of evidence" and to my utter disgust I found that it was actually mountains of cow dung. There are mountains of ambit claims in the big print but when I analysed the small print I discovered that I was conned. The deception starts with a vague and changing definition of evolution; if they do not define what the word means then the evidence they provide does not have to prove anything in particular. (see link for details http://youtu.be/fQ_h-S7IuaM). The evolutionists provide countless examples of micro evolution (adaptation) and INFER that this somehow proves Macro evolution (development of new body parts). This is typical "bait and switch" advertising. This book helped me to see through the deception; I hope it is equally useful to others. A book that I know I will return to. A philosophy that has underpinned much of our thinking and I’m sure will continue, nothing can be ignored. The story is enhanced by the narrator Richard Burnip who does great justice in bringing together and delivering a great masterpiece. I really enjoyed A.N. Wilson's "biography of an idea", referring of course to Darwin's Theory of Evolution. Wilson's elegant prose really brings to life Darwin and the many fascinating characters who preceded and surrounded him.